1. If you teach a child a song, not necessarily emphasizing and explaining the words, the words of the song will eventually come back to teach the child when he or she is ready to learn the truths of the song. 2. When life’s experiences have taught you and prepared you, you will begin to understand deep truths found in the hymns. Those Principles are all about “there and then” which is a great reason to teach a child a song that he or she may not yet understand. So how can we help this song relate to the children “here and now?” One way to help is to play match the phrase. I put these phrases on word strips and post them in 8 groups all around the room, but I make sure the actual phrase from the song is not always at the top… so all mixed up within the group. To make this stronger for children who cue into color, I would make each of the groups a different color of word strips. I am going to sing the song three times. I will tap someone on the shoulder, and they will bring up the first phrase of the song. I tap someone else on the shoulder and they bring up the second phrase of the song. I’ll keep tapping people on the shoulder until we get the whole song in order BUT you only have three times through the song to get the words in order! Sing the song and tap 8 different children on the shoulder. Now comes even a bigger challenge. Some of these phrases on the wall mean the same thing as the words to the song. I will tap some other people on the shoulder and they will bring one phrase up that is like a phrase in the song and put it with the other. After you have sung the song several times and all the phrases are on the board, like with like, ask the children if they think everything is right. Accept their answers. By this time the children have heard the song at least 6 to 7 times through, all the while focusing on the challenge of ordering and comparing like with like. Now ask them to sing the song with you as you point to the LIKE phrases (not necessarily the one that is in the song). Their challenge will be to sing words that are different than what you are pointing to (the words in the song), even though they may mean the same thing. This is awesome! You have inspired me to try new things, and my kids are so much more engaged because of it. Thank you! 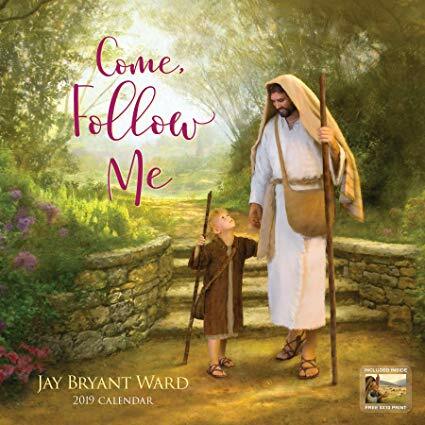 – Give groups of 2-4 children an envelope with the words on colored paper, with the phrases broken up as described above (“Come follow me”, “the Savior said”, etc.). – Have groups put phrases in order as I sing the song 3 times. – Have groups match the LIKE phrases (on white paper) with the actual phrases (on colored paper). Dear Lisa, I really like this idea! Thank you for sharing. So do you mean you would make all three like phrases the same color? Does that give it away too quickly? Some of the children are Words learners, but some of them are not. The color helps those children that are very visual. If you have an older Primary with lots of ages 10 and above, you don’t have to use the colors if you think it will be too easy for them. Thanks for asking! Thank you for the clarification! I just wanted to make sure I understood correctly. I can’t wait to try this with my Primary this month. I appreciate so much all of the ideas you post. If you have all 24 words up and choose 8 children to choose the words in the song, then the other 16 children move all the left over words into the categories. Thanks for asking. Thank so much for your ideas! It’s a great way to start off our brand new Church 2019 program. My primary kids are going to love learning the song this way! Keep sharing! How do have the kids place these on the board? I am thinking to write two lines, one at the topish, and one further down at the bottom half, so that when they bring up the left over words, they can place them below each song phrase. Is that how you had planned it to go? It depends on your space, so I think the two lines would work! I’d love to hear how it goes! As always, you have come through (literally with flying colors :-)) with an inspiring and effective way to teach our primary children. I am forever grateful for you! Thank you Sharla! I used this lesson today Sharla, and I just have to say thank you – it was awesome! My kids’ loved it and it was so effective. They especially had fun singing the non song phrases! It was the perfect way to start the year. You are such a blessing to me and my primary!! Our Primary has shrunk to the point that this is the first year we are combined. I know it’s not ideal to teach all age groups together, but many smaller wards and branches have no choice. Is there a way to do this, with a secondary/simultaneous activity for the younger bunch? I love this idea and would love to do it next week. Today we did rhythm sticks and footprints. Thanks in advance. You’re my first resource always when I’m planning. Thank you!!!!! Dear Melanie, You are not alone. Many have combined Primaries. Some music directors do one activity for the older, then the next week one activity for the younger. My preference is to do an activity where the older pair up and help the younger, then an activity where the older have a difficult challenge and it is much simplified for the younger children. If I were doing this particular activity, I would have this activity for the older group that reads, and perhaps two 3 piece puzzles for the younger group to put together up on the board while I am singing. Someone (it could be you if you can do both groups at the same time) taps one of the younger children on the shoulder to go get a puzzle piece and try to make it fit into the picture. I will look and see if I have a post on 3 piece puzzles. I agree that younger children get bored when the activity is not age appropriate for them. And so do the older children when it is not appropriate for them! Here is a post that gives a few ideas. The main focus for you will be to really concentrate on what is developmentally appropriate for each age group and try to provide both in some way. http://teachingprimarymusic.com/ideas-for-teaching-younger-and-older-children-together/ Thanks for asking! So do you tap a child with each phrase you sing? E.g. Come follow me (tap) the Savior said (tap). Sorry for the nitpicky question but I’m a visual learner so reading about games or activities tends to confuse me. I tend to tap the next child a short while after I tap the first child so that there are several children up in front at once. I don’t like lag time because it tends to cause the children to lose focus. I also don’t want too many children up there at once, so I just choose the next person depending on how fast or slow the children in front are figuring out where to put the phrase. Thanks for asking. I did this today and it was so fun! We just did the first stage and didn’t get all the way through so continuing next week 🙂 I didn’t do the corrected phrases in the same color of paper as I am doing this for Sr. Primary and they would have figured it out way too soon. I am super excited to continue this activity and have them sing the correct phrase when I point to the “incorrect phrase with same meaning”. A wonderful activity!!!! That’s a great extender idea, Penny! Thank you!